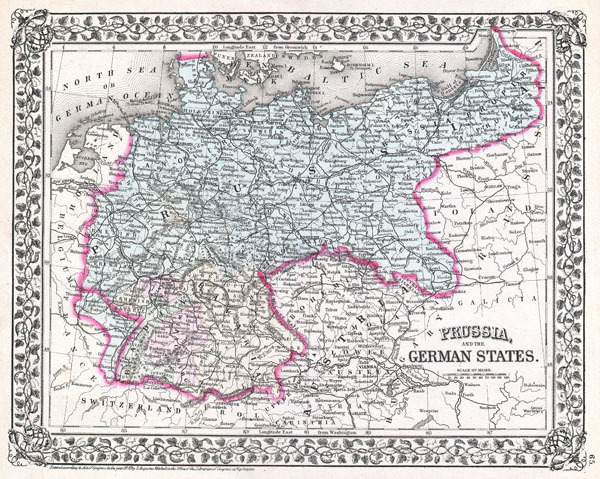 Prussia and the German States. Mitchell Jr., S. A., Mitchell's new general atlas, containing maps of the various countries of the World, plans of cities, etc., 1872 edition. Rumsey 2483.051 (alternate edition). Newberry Library, A3417 (alternate edition). Phillips (atlases) 1511, 859.